We love beer. We love it so much we have more than 26 dedicated craft and Aussie beer taps with a regularly rotating selection. Recently voted The Daily Telegraph’s ‘Best Pub Grub’ City & East 2017, and Time Out’s Pub of the Year 2015, we bring you the tastiest and most exciting range of craft beers available in Sydney. If that doesn’t qualify us as one of the best bars in Surry Hills and the rest of Sydney, we don’t know what will. Our kitchen dishes up some of Sydney’s best pub food. Fresh ingredients are used to prepare reimagined pub classics with a tinge of US nostalgia. Pop in for a pint or a cocktail by the fireplace, and enjoy a quality pub meal on the balcony. Curious to know why we’re one of the Surry Hills’ favourite bars? Pay us a visit! We’re just a short walk from Central Station, with all of the city’s nightlife on our doorstep. Every week has a Sunday and at the Dove & Olive, every Sunday we have an award winning Sunday Roast for you to enjoy! While you can still chose from the whole menu, we highly recommend going with the roast on a Sunday! In 2017, the Telegraph listed Dove & Olive in the Top 10 Sunday Pub Roasts; pretty good since they also said we were the cheapest in the top ten as well. We’ve also been ranked in Time Out’s Top 10 Sunday Roasts for the past 3 years! At the Dove & Olive it’s not just about the quality, it’s also about an affordable price – we were Dimmi’s Best Cheap Eats 2016 in Sydney. 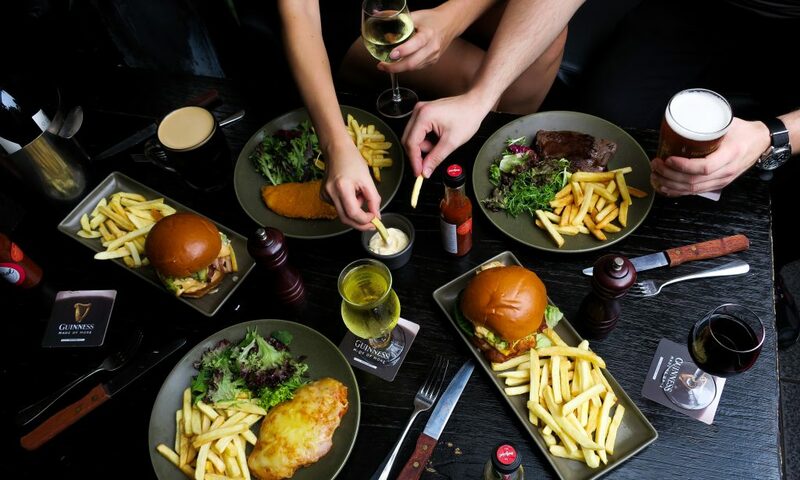 As if that wasn’t enough, The Urban List voted Dove & Olive in the Top 10 out of the 50 Of The Best Pub Meals In Sydney! Dove & Olive also offer amazing function rooms for your next special occasion. We specialise in both Private and Corporate Functions, and can cater for between 20 – 150 guests. Choose our venue and you and your guests will enjoy some of Sydney’s finest beer and pub food, with a range of affordable catering options for your function. We have both indoor and outdoor spaces available including a private bar, dining room, open air balcony, and sunny courtyard. Our venue has vintage stained glass windows, lounges and fireplace banquette and bar seating that can be restructured for your purpose, whether standing or seated. If you’d like to find out more about our venue, menu, or selection of beers, get in touch today. Call us on (02) 9699 6001 and speak to one of our helpful and friendly staff. We will be happy to answer your questions and queries, as well as take your booking for a table. You can also use our online system to make a booking. Be the first to receive all our exclusive food and drink specials. Sign up here. Otherwise, pop into our fine establishment to enjoy the best pub food in Sydney today!